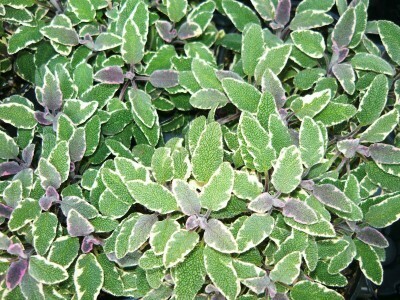 Tri-Color Sage (s. officinalis 'tri-color') - Beautiful culinary sage variety sports slender dark green leaves with streaks of pink, purple, and white. Excellent container plant does best in full sun and a well drained soil. Perennial zones 6-9. Live starter plant in 3 inch container.